Gambling is a very big part of New Zealand's culture and has come a long way since citizens' only option was to play private card games for money. The industry has had its ups and downs, which makes it all the more fascinating. Understanding its history will give you a better appreciation of the country as a whole. Gambling has been around for as long as New Zealand has been a country, but it wasn't until the 1830s that it became a popular sport for adults to play. That is when horse racing became a nationwide phenomenon and when a large part of the population saw a way to have fun and, if they were lucky, make some money. Unfortunately for those who enjoyed betting on horses, it didn't take long for the government to ban bookmakers from taking wagers on the sport. This meant that, starting in 1910, the only way punters could make a bet was to show up at the race track. It wasn't until 1950 that the Totalisator Agency Board (TAB) was established, allowing people to make bets on any horses at any tracks in the country. In July 1987, New Zealand had its first nationwide lottery system created by the New Zealand Lotteries Commission. Since then, Kiwis have been able to purchase Lotto tickets and scratch cards through a number of establishments. Just a few years later, Pokies were legalized in the country. This brought even more interest to gambling since the games were easy to understand and play. Since their introduction in 1991, pokies have spread all across the country and can now be found in over 1,500 locations. Christchurch Casino became New Zealand's first casino in 1994. It gave locals and tourists a chance to legally gamble while also offering them food, alcohol and entertainment. This further increased the popularity of horse racing and pokies, and it also introduced the country to table games. 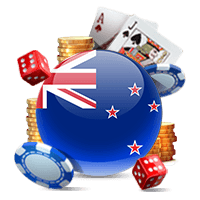 Online casinos have even further spread the popularity of gambling in New Zealand thanks to their ease of access and the fact that most casinos a number of games to choose from. These casinos have been around since the middle of the 1990s and have grown into a $20 billion industry worldwide. 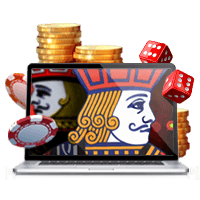 Online casinos allow people to set up accounts on their sites and play a variety of games. Users can play pokies, bet on sports and gamble on anything else that is legal in New Zealand's land-based casinos. New Zealand does not currently allow companies to create online casinos in the country, but Kiwis who are 18 or older can legally gamble at any online casino of their choosing as long as it is based overseas. Because the casinos are not in New Zealand, citizens do not have to pay taxes on their winnings. All gambling in New Zealand is overseen by the Department of Internal Affairs. The majority of gambling establishments in the country are state-run, which allows the profits of those businesses to go back into the community. 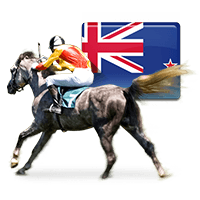 The Racing Act 2003 and the Gambling Act 2003 regulate every form of gambling in New Zealand. The Racing Act 2003 contains every law that has to do with sports betting and racing. The Gambling Act 2003 regulates every other type of gambling in the country. Most of New Zealand's gambling laws were put in place to keep machines and other games up to code, but many of the laws cover what citizens can and can't do privately. It is up to each individual gambler to know these laws so they can avoid fines.